The “Dynamic Duo” have teamed up to bring you the absolute cream of the crop in BDM and Property Management Coaching in Australia. Not in Australia? 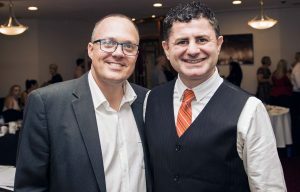 Darren and Deniz also train in New Zealand and the United States and have clients from several other countries who attend our online training events regularly. What areas can Deniz Yusuf train with you and your team? Lead Generation – How to make the phone ring and lead tracking- PM growth strategies. Lead conversion – How to maximise your conversion rates from listing presentation to signing the management. BDM Coaching – BDM training, accountability, scripts and dialogue, general mentor-ship and one-to-one coaching. Property Marketing – How to become the leader with property marketing in your marketplace. Rent Roll Growth strategies – How to grow your property numbers with ‘Investor Support Services’, Business Networking, DIY Owners, Investor Evenings plus many more effective strategies to grow your rent roll. What areas can Darren Hunter train with you and your team? Get Better and Higher Fees with New Owners – Specialist training for you and your team to get better and higher fees with new owners. Go to the next level with your Team PM Performance – Business Health Check – One day to do a thorough report on your current business and give you a detailed step-by-step road map to take you to the next level in team performance (One full day). Facebook Marketing Training – (Setting up audiences, placing effective content, writing effective ads and remarketing). How to DOMINATE in your marketplace and become the ‘go-to’ expert, using Facebook. Online Skype Training – Choice of 22 x 1 hour sessions to choose from.